Daudi serves on the Leadership team at AGRA as their Head of Monitoring and Evaluation. Daudi joined AGRA from the Africa Wildlife Foundation, where he has spent the last 25 years building his career in international conservation, all the way from being an economist and data management specialist to Vice President. 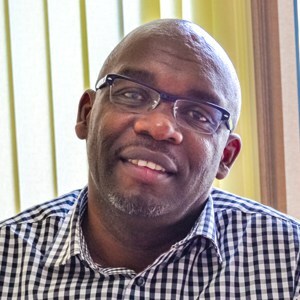 Daudi spent the first decade of his time with AWF growing as an M&E professional within the system and then serving as its Director for Performance Measurement and Capacity Building. He then went on to hold roles as Regional Program Director for Eastern and Southern Africa across 12 countries and the VP for Program Operations. Most recently, Daudi has served with AWF since 2013 as Vice President for Program Design and Government Relations, where he uses M&E data and analytics to develop organizational strategy, shape and refine AWF’s programs, scale up support from government, donor, and implementing partners, and drive thought leadership around the continent. As AGRA moves forward with implementation of their new 5-year strategy, they are focused on how to ensure M&E and Knowledge Management is at the heart of efforts for program and operations results management, thought leadership, partnership development, and ultimately going to scale as the go to partner for agricultural transformation on the continent. Daudi’s expertise and leadership will be key to their efforts and managing a strong unit across the continent.